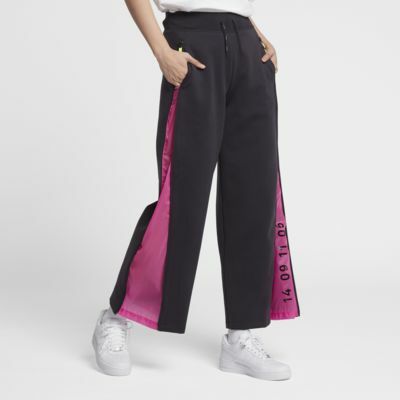 The Nike Sportswear Tech Pack Trousers upgrade a wardrobe staple with pops of techy flavour throughout. Zipped side seams reveal a colourful woven panel so you can turn up the volume on a classic style. 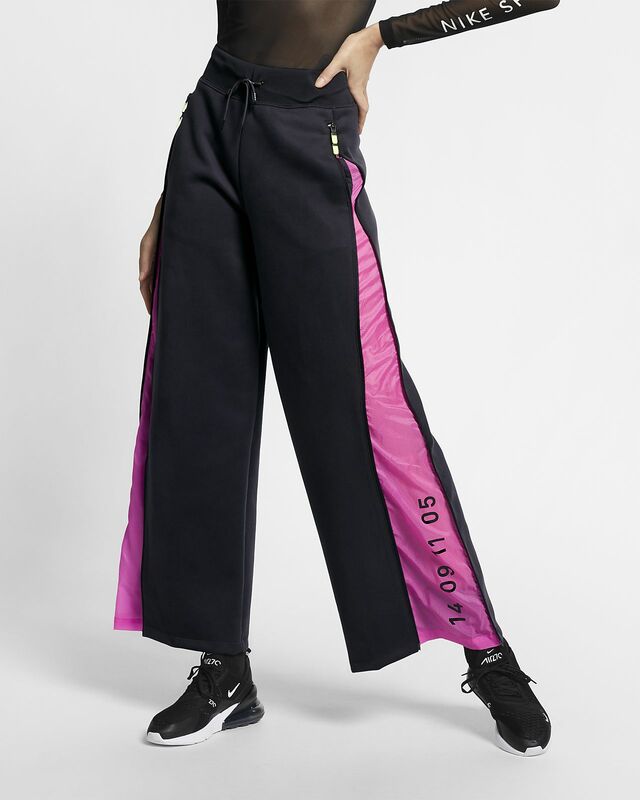 Zipped side seams reveal a colourful panel and alphanumeric code that translates to "Nike". A high waist offers snug support. Straight legs are uniform from hips to hem. Ribbed drawcord waistband allows an adjustable fit. Fabric: Body: 94% polyester/6% elastane. Panel: 100% polyester. Pocket: 100% cotton.